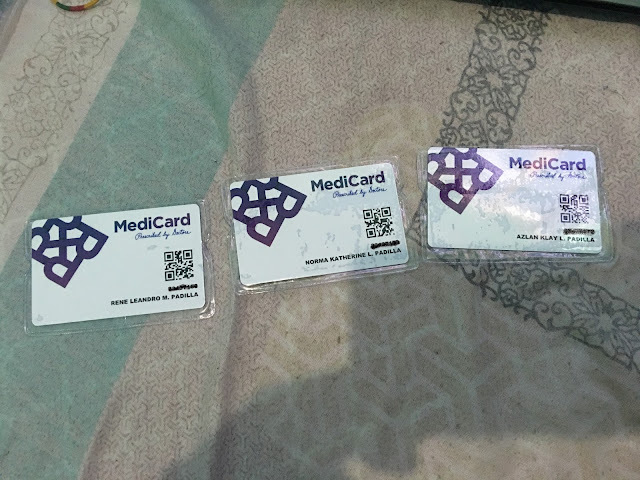 Upon thorough research on the Internet, I found out about Medicard Philippines. They have family packages. So I went through the online application found here. I selected the family package semi-private without the 5-star hospitals with 2 dependents (wife and son-less than a year old). A couple of days after, a representative from the company called me and verified the information. Then I paid P29,915 through Unionbank deposit to finish the application. I got a discount for paying through a bank deposit. Everything went well. Joy, the representative is responsive through email and answered any questions we had. We waited for 2 weeks before we received our cards and booklets. Our package covers P60,000 per person per illness during the 1-year period. It also includes basic dental procedures and annual physical checkup. My wife and I are happy with the overall transaction with the company. Now we have peace of mind in case of medical emergencies. We just pray that we'll never have to use this card for any grave ones.